Want a personal look at my recent efforts and experiences with my kids? My hope is that this honest look at a slice of my life will offer new insight into my struggles and successes as well as fresh inspiration for your own bilingual journey. My daughter came home the other day in tears because she got a 58 on a Japanese test. Up to this point, I’ve basically left my children’s Japanese education in my wife’s hands. After all, she’s Japanese and it’s far easier for her to understand the content. My Japanese ability isn’t bad, but Lulu’s level—she’ll enter fifth grade when the new school year in Japan begins in April—has risen higher than mine. However, it’s now clear that Keiko—though she’s a wonderful mother in many ways—isn’t really capable of providing sufficient support for their schooling. Because she doesn’t have a background in education, and believes to the extreme that children should be independent learners, the guidance she offers them is minimal. As I explained in Why I Don’t Want My Kids to Do Well in School, there are actually advantages to this, in that my children’s majority language hasn’t quickly outpaced their minority language. If Keiko was as proactive about supporting their Japanese as I am about their English, their ability in the majority language would no doubt be more dominant. So, in an odd way, I’ve appreciated her more hands-off approach: it’s helped me maintain a good balance between their two languages. But when I saw Lulu’s tears, and Keiko’s response was only “You have to study more,” I knew I finally had to step in—I had to begin supporting her Japanese side, too. It’s like the difference between telling a child to just jump into a pool and start swimming, and teaching that child basic swimming skills so she can eventually swim well on her own. I don’t doubt that some children can learn to swim entirely without guidance, but others will likely thrash about in the water—they’re trying hard, right?—but produce results that frustrate them and bring them to tears. So I sat her down and I made a chart. Every time there’s a test, I said, we’ll fill out this information: 1) the date of the test; 2) the content of the test; 3) the specific actions she’ll take to prepare for this test; and 4) the outcome of the test and how she can prepare even more effectively for the next test (which, naturally, will be noted after the fact). Because she got a 58 on that Japanese test, her teacher wanted her to take the test again a few days later. We filled out the chart with the key information, then I put her on a diet of daily practice tests, covering this same material. Now, since she had a very concrete way of preparing—a way she could replicate for herself for similar tests, I emphasized—she became far more motivated to study. When children are guided with the tools to create clear, achievable tasks—instead of simply being told to “study harder”—they’ll not only become more focused in their efforts, they’ll perform more effectively and grow into more capable and confident learners. 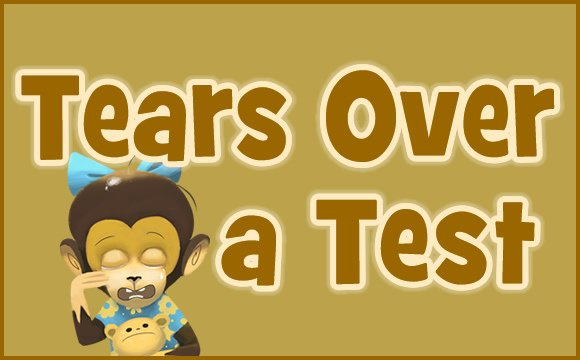 After retaking the test, Lulu’s gleeful grin said it all: this time she got a perfect score. On Saturday afternoon I had a fun idea for making a video with my kids. I thought: Since my kids love being silly, I’ll just turn on the camera and film them acting as wild as they like. With my crazy encouragement, I bet we’ll capture some fun raw footage and I can then produce a “silly show” by editing together the highlights. They were excited about the idea, but there wasn’t enough time on Saturday. I said we would do it on Sunday. On Sunday morning I read aloud to them at breakfast, as I’ve done every day for years. (See The Secret to Raising a Bilingual Child.) At the moment, I’m reading the work of Kate DiCamillo, one of the very finest writers of children’s literature in English. Her moving and masterly books include Because of Winn-Dixie and The Miraculous Journey of Edward Tulane. Right now I’m reading The Tale of Despereaux, a winner of the Newbery Medal. That morning we went shopping, driving 30 minutes to a big Japanese “dollar store.” I needed some plastic cases to help organize a mountain of old photos gathering dust in our living room. (After I blow off the dust, I’ll share a few of these photos with you.) At the same time, I looked for some costume pieces for our video; instead, I found a cool plastic microphone. QUICK TIP: Get yourself a plastic microphone! It’s a great prop for carrying around the house and promoting the minority language. Just act like a reporter and ask your kids some questions. Give them a chance to play reporter, too. The presence of a microphone—even a cheap toy—provides a kind of power that seems to focus attention and encourage interaction. I may have been too tired to make the video, but I have to be flat on my back not to maintain our daily homework routine. (See Secrets of a Successful Homework Routine, Part 1 and Secrets of a Successful Homework Routine, Part 2.) So on Sunday, like every other day of the week, I assigned my kids short reading and writing tasks to nurture their literacy and overall language development in English. At the same time, they completed another page in their Spanish workbook. I admit, I should be doing more to support their progress in Spanish (which they began learning a few months ago), but I have my hands full with English (and everything else in my life!). And since I don’t speak Spanish myself, maybe the best I can manage, at least for now, is to simply continue our twice-monthly lessons with a woman from Spain who now lives in Hiroshima and persist in assigning them daily homework in a Spanish workbook. I also spent the past week scribbling down my children’s responses to a steady stream of questions posed by kids and their parents from many parts of the world. 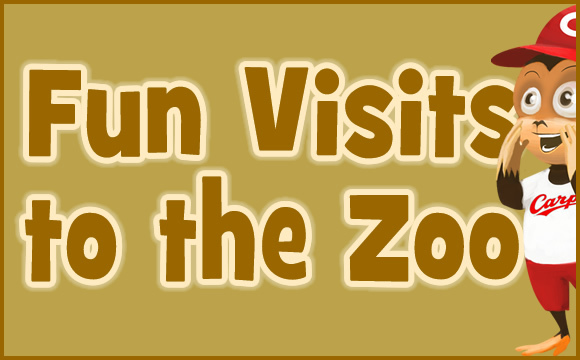 If you haven’t seen it yet, I recently added a fun, new feature at The Bilingual Zoo, which I introduced in my last post: Talk to the Monkeys! The positive reaction to this new feature is exciting for us all, but especially for Roy, who proposed the idea and is thrilled to see it catch on so quickly. Though managing these interactions between my kids and The Bilingual Zoo community has added another task to my day, it clearly benefits us all. 2. Fielding questions from children and parents all over the world is a remarkable opportunity for them to interact with others internationally, raising their awareness and interest in other countries, cultures, and languages. 3. This activity also gives my kids a chance to begin taking part in my work more directly, and I hope their involvement can continue to grow over time. 1. Even if English isn’t the minority language, when parents involve their children in posing questions to my kids, the minority language can be used in the interaction between parent and child. Moreover, the translation that takes place between that language and English, in posting the questions and reading our responses, might also serve as a useful opportunity to promote the value of English in the child’s mind. After all, English may not be a target language yet, but it will likely become an important part of every child’s life in the future. 2. Like the excitement my own kids feel about connecting with other children and parents out in the world, families have that same opportunity to raise global awareness and interest when they engage in an interaction with us. Before my kids come home from school, I do three things. I lay out the assignments for their daily homework in English and Spanish. I make sure that the captive reading text in the bathroom is still fairly fresh. I place appealing English books or magazines on the sofa, another crafty “captive reading” tactic for encouraging independent reading. When they burst through the front door, I’m usually working in my little office (I work from home, as a writer and editor for the Hiroshima Peace Media Center), but I drop what I’m doing to engage with them in English. After they’ve been immersed in Japanese for much of the day, I want to reactivate their English side. This is easier to do with my son than my daughter. Roy is happy to play with his father, but Lulu now breezes past me toward her mother or grabs the phone and calls a friend. So Roy and I were playing soccer in there the other day, battling to score “penalty kicks.” On my turn, I lined the ball up carefully and I crowed: “This kick will win the World Cup!” And then I blasted it past him…and it punched a big hole in one of the paper shoji screens that cover the large glass windows of the room. I won the World Cup…but got scolded by my wife. How about you? Did you enjoy these stories? If this peek into the more personal side of my bilingual journey is useful to hear, please let me know! This was a great post to read! It’s nice to know more about your bilingualism and hearing about the times when things are less than ideal and challenging for you can be very helpful. Your openness about the amount of effort instilling the minority language takes is really valuable. Joanna, thanks for your kind comment. I’m glad this post was useful to you. Week by week, we can do it! Ahhh yes, those paper shoji screens… My boy has made two holes through them so far (both when he was not even walking!). We foresee more holes to mend now that he’s walking more day by day. Thanks for this interesting post, Adam. Thanks for your comment, Mei. Yes, shoji screens and toddlers are a tough combination! Good luck! I don’t know how many times we have repaired our shoji in the bedroom. Not only soccer, but light sabers and swords (I have two boys, so double the action). My wife used to repair them properly, repapering them either square by square, or covering the whole frame. Recently I discovered that “scotch tape” (NZ name? “mending tape” in Japanese) works really well for a quick fix. Almost invisible. The perpetrators of the evil deeds can help with the repairs too. Thanks again, Adam, for your ideas and honesty. Too tired to be silly – I know that feeling. Peter, the funny thing is, when we got the first couple of holes, we were upset and did our best to mend them…but after the holes began to multiply, well, we basically admitted defeat. Shoji screens (without holes) are certainly nice, but they’re not very practical for families with young kids. Thank you for writing so good articles. Binger, I’m glad you’re enjoying my blog. I send good wishes to you and your family. I’d like to add my thanks too. And thank you for the plastic microphone tip. That sounds like a great idea! As a parent, bilingual or not, Sundays can creep up on us! Could you play quiet lullabies in Spanish and all take a siesta????? Annie, that’s a dreamy idea! I’d like to make “siesta” our new favorite word in Spanish! 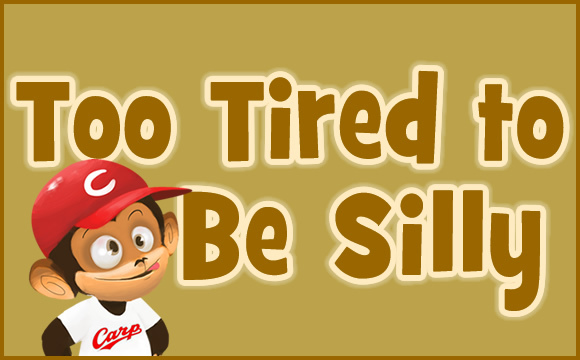 Previous post: New at The Bilingual Zoo: Talk to the Monkeys!